Comics Club is back on Tuesday 16th April. 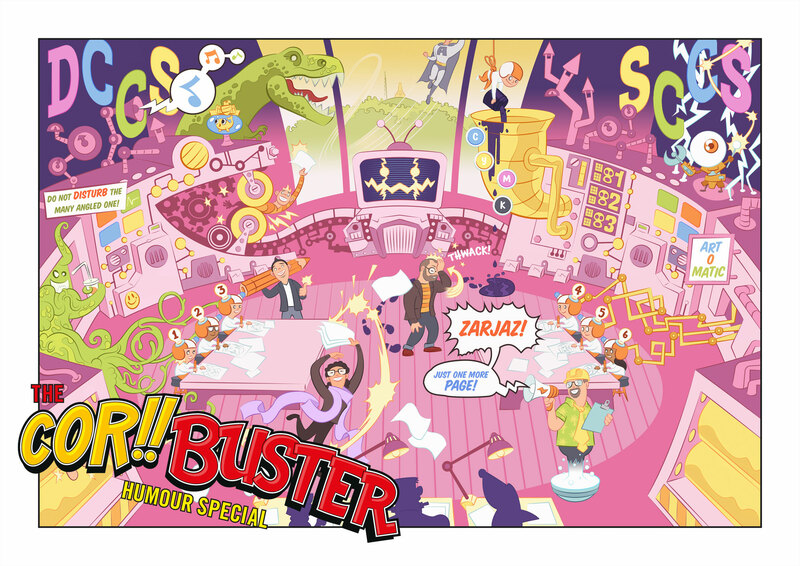 Comics making workshops for 10-17 year olds each Tuesday and Wednesday from 4.30-6pm. Please note, we are currently running a waiting list for the Tuesday group. Please contact DCCS Coordinator Damon Herd for more details. 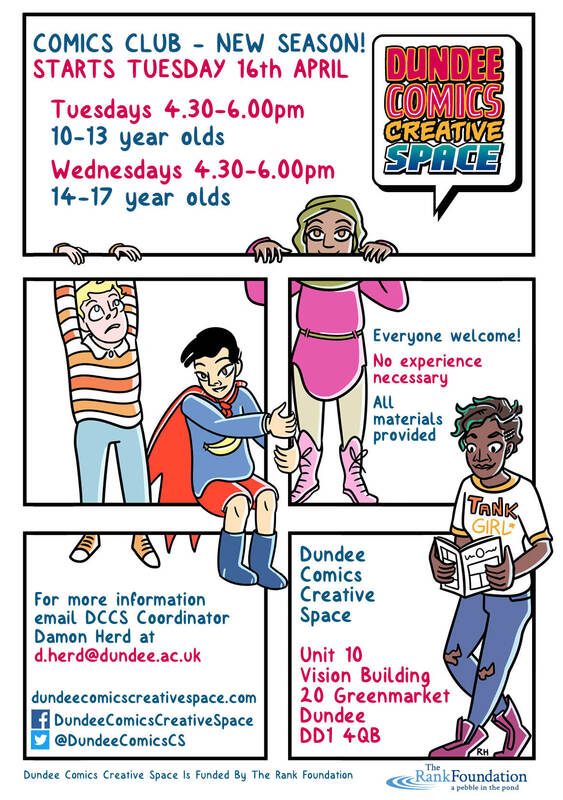 Posted on April 12, 2019 April 11, 2019 by dundeecomicscsPosted in Comics ClubTagged art, colour, comics, Comics Club, draw, dundee, ink, kids, lettering, young people, zines.